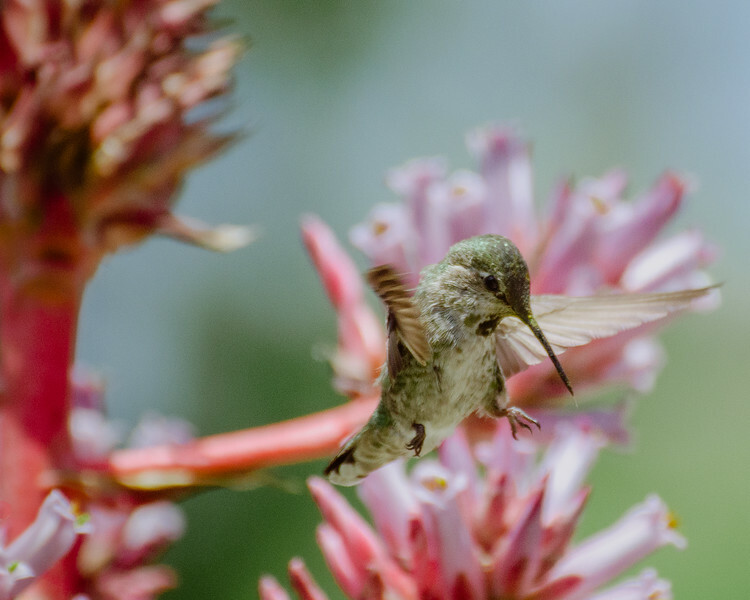 Three more hummingbird photos that I should have included in my post the other day -- but overlooked them in Lightroom. Whoops. They're actually three of the more interesting photos taken at the Huntington on Saturday. Why? In the first two photos, in particular, the poses are different. 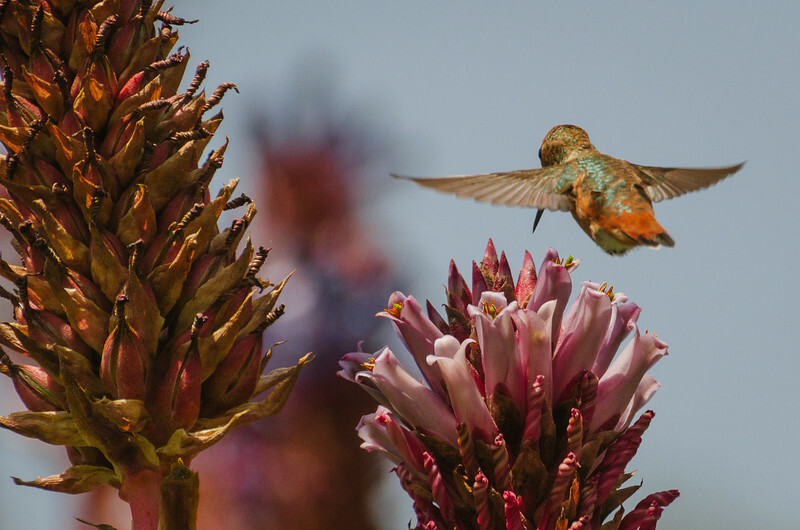 In the first, we have a hummingbird seemingly performing a swan dive onto a flower. That's not an angle you see much in hummer photos. Same with the second photo. Looks like the hummer is trying to not-so-gracefully land on something. 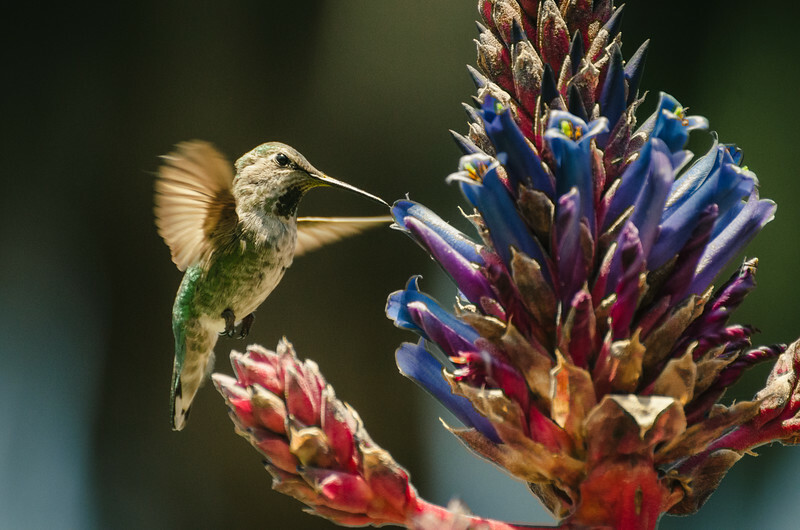 It's a different take than the usual "graceful" hummer pic. The third one is a bit more traditional -- just better than a similar pic I posted earlier. The lesson: if you're shooting photos of something that is frequently photographed, try something different and original to try to stand out from the crowd.